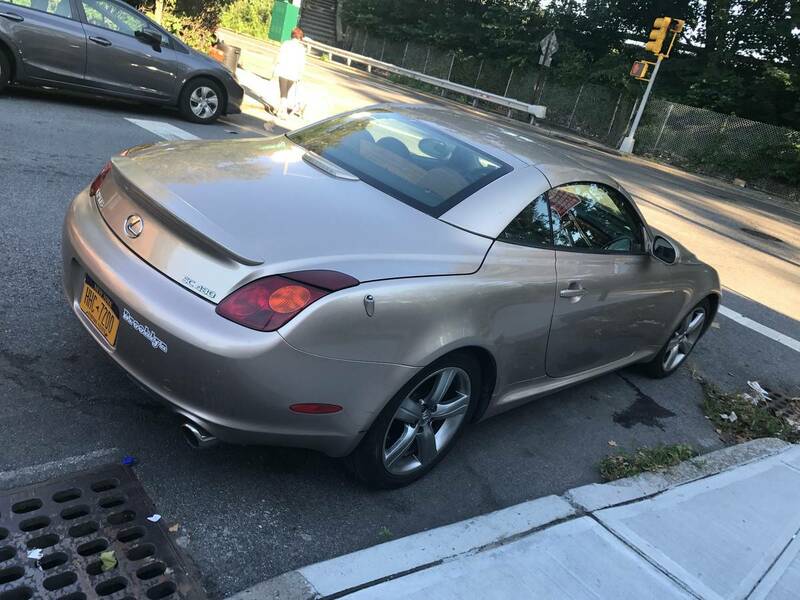 The Lexus SC430 was introduced in 2001 with all of the ingredients to be a resounding success -- a reliable small displacement V8, a double wishbone suspension, rear wheel drive, a folding hardtop and room for two...unfortunately it had all the character of a box of kraft mac & cheese. However, now on the used market, it isn't a bad car for the cash if you aren't someone who wants to tear up apexes or live your life one quarter mile at a time. 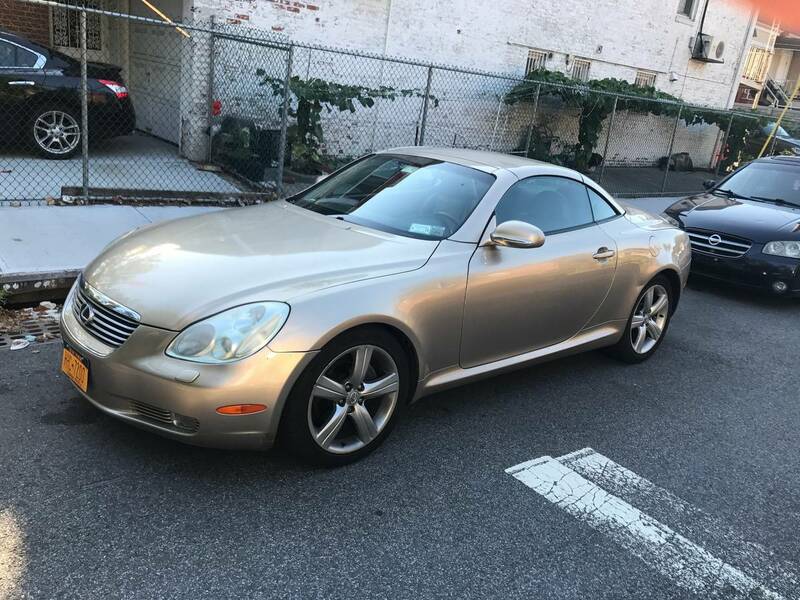 Find this 2003 Lexus SC430 offered for $6,500 in New York via craigslist. From Cory. This is a 2003 Lexus SC430. Car is Champagne color with Peanut Butter leather interior. Automatic. Engine and transmission work excellent, car runs like new! No Check engine Lights or any kind of mechanical problems!!! Just passed ny, inspection in July 2017, Brakes and tires in good shape. It has 162k miles, mostly highway, and is my daily driver so miles will go up slightly. Everything is functional. Hardtop works perfect. Has a pioneer double din unit with cd player, navigation, back up camera, hard drive for music and more.. Car needs nothing but a driver. It has a few cosmetic dings and scratches here and there, other then that its good to go. Will not negotiate over the phone or text. In no rush to sell.. Come see the car and then we can talk. Nothing says "divorced middle aged woman who took husband to the cleaners" than this bloated stepmom mobile. Worst car in the history of the world according to the old Top Gear. My wife had an overmedicated friend who bought one of these. She was an older lady that lived in Del Mar. It reminds me of the giant inflatable orca pool toy i had as a kid. I bet it's perfect for high speed long haul highway trips though. Power would make this jellybean sellable. It's the markets response to need nobody has.